The recent jobs summit in Milan could have taken steps beyond those that have been known about for some time, such as the youth guarantee, but unfortunately the opportunity was missed. Nothing new came out of the summit, writes Allan Päll. 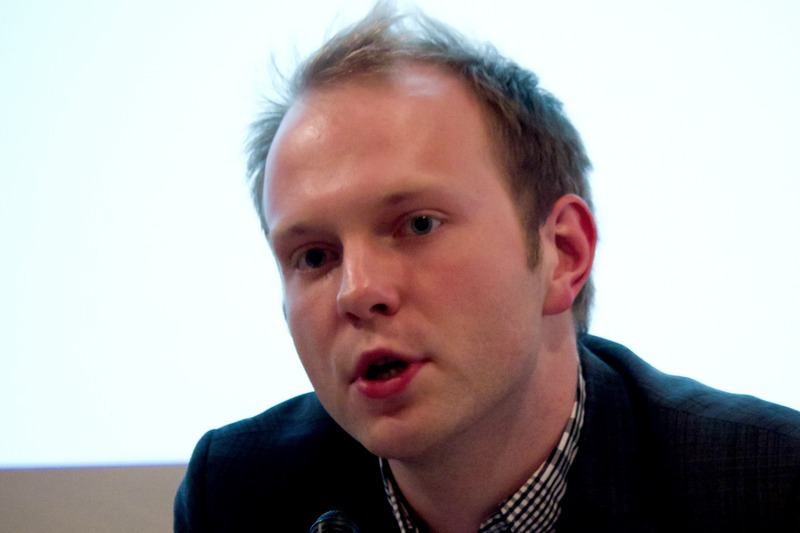 Allan Päll is secretary general at the European Youth Forum. The European Youth Forum welcomes any get together of European leaders to talk about jobs and growth. And so, of course, when we first heard of the Milan summit, which was due to be focusing on youth unemployment, we were keen to get involved and to help to come up with concrete solutions to help bring young people out of the crisis. It seemed that it would be a follow-up to the Paris Summit on youth employment held in November last year. However, this was not to be. Firstly, the July summit was cancelled and postponed for Rome; then we heard that it was on again but moved to Milan. And it was only days before that it was actually confirmed that it would be taking place at all and focusing on the wider issues of jobs and growth not just on youth (un)employment. This chaotic organisation meant that we – representing millions of young people across Europe – were not involved in the summit, despite being one of the initiators of the youth guarantee. The difficulties in organising this high-level get together may also be a wider indication of the problems that member states have in agreeing on a coherent and ambitious solution to invest in the creation of quality jobs for young people. There was, however, an opportunity at this summit to take steps beyond those that have been known about for some time, such as the youth guarantee, but unfortunately the opportunity was missed. Nothing new came out of the summit. It appears it was just an opportunity for politicians to meet and make it appear like there was action. But ultimately, the summit revealed a harsh truth about European decision-making – that the gulf between largest member states on the Stability and Growth pact holds every other decision hostage. This prevents any real move beyond lip service on issues like fighting unemployment and poverty. The youth guarantee, the scheme to make sure that young people are not out of education, training or employment for more than four months, was of course discussed during the summit. We welcome this attention as we agree that this targeted scheme has strong potential, but it is not yet delivering on this promise. Just last week I have attended the European Youth Conference in Rome where the limitations of the youth guarantee were highlighted by youth organisations themselves. They reported that, whilst at the start they were consulted and involved, now when it comes to the actual roll-out of the scheme there has been little consultation with youth organisations. This again prevents reaching out to young people – according to Eurobarometer, only two out of ten young people have heard of the scheme! Oh, if only governments would learn not walk the road alone. Several other important issues were raised during the summit and we were pleased to hear the French President François Hollande comment on the reform of the Vocational Education and Training systems in France. But is it not that in these discussions, our leaders, who have made a pledge with youth guarantee and are adopting even stronger language on youth unemployment, are not actually listening to the interests of youth? It is a great shame that youth organisations were not involved in these important discussions at the summit. As ever, budgets remained high on the agenda. German Chancellor Angela Merkel’s comments on the money being there, but just that it needs to flow, ring true to a degree. However, we know that the €6 billion currently set aside is not enough. The promise to reach each young person out of job or education within four months has been made, yet this amount equals to less than €1,000 per unemployed youth, not even counting the inactive youth that don’t even register in the statistics. Once the money flows and young people actually find out about the scheme, it will run dry quickly. This leads to an issue we would have welcomed a debate on in Milan: how to reach young people that are a long way from the labour market. If the money is limited, surely we need to look beyond “low-hanging fruit” that is easy to pick. And it is vital that the jobs that we hope will be created are good ones. It is, of course, easier for efforts to help unemployed young people to provide any job, rather than jobs of decent quality. If this is not done, we risk continuing the status quo, with too many young people with precarious jobs or internships of poor quality and which don’t last for long. Targeted schemes, such as the youth guarantee, will not tackle the youth unemployment crisis alone as it does not create sustainable jobs. But we need more jobs, full stop. And they should be jobs that allow for a decent living, not simply creating armies of working poor. The key here lies in macro-economic policies encouraging growth. There is no silver bullet to solve the youth unemployment crisis and talk last week of a “major digital plan” will not solve the problem of not having a job for the one in five young people that are currently unemployed in Europe. We urge the incoming Commission to put youth unemployment high up on their agenda and we would like to see specifics in the Commission’s investment plan on how quality jobs will be created for young people in a package addressing both economic governance in Europe as well as well working targeted measures such as the youth guarantee and longer term policies on education that support life-long learning. We realise that youth unemployment can appear to be an intractable problem and indeed there are no easy answers; that is why we are so keen to engage with European leaders. Therefore, we deeply regret the missed opportunity of the Milan summit, but we hope to see a proper follow-up of the previous youth unemployment summits with concrete actions announced. The Youth Forum’s own conference on youth unemployment planned for 13 – 14 November in Rome will be one such opportunity and we hope that European leaders will take us up on the offer to engage with us and Europe’s young people at this conference.